Xtime this week shared analysis that takes a look at how recall service appointments can lead to increased service revenue and opportunities for future business. Since 2014, there have been more than 10 million vehicles recalled in Canada, and during the past 12 months, Xtime has processed 3.2 million service appointments with recalls through its Xtime Retention System’s recall integration feature. The company said during that same period, each dealer client was seeing an average of 84 recall appointments monthly. Xtime management explained these recall appointments serve as a great opportunity for franchised dealers to remind owners of other reasons to return to the store for service, such as tire alignment, tune-ups and more, potentially securing more service revenue and perhaps, a repeat customer down the line. Interestingly, in Xtime’s analysis, the company found that even though recall fixes are done at no cost to the customer, these recall-related appointments often generate pay, as well. In fact, according to Xtime, approximately 50 percent of recall-related appointments generate customer pay, and dealers can see an average of $9,600 per month from these appointments. And, of course, those that don’t pay, still serve as an opportunity to increase future service business. DGDG fixed operations director Tully Williams said recall integration tools in the service department can help dealers save time, as well, in a recall-heavy environment. “With safety being such a major concern now, Xtime’s recall integration makes it so easy for us to take care of recall customers. When we make an appointment in house, the recall information automatically populates, which means we don’t have to spend extra time looking up anything manually in the manufacturer’s website,” Williams said. "This saves us a great deal of time and streamlines our service drive. It’s also very easy to use — I can train anyone in the dealership on how to access recall information for any appointment because the information is automatically in the system. Xtime’s recall integration makes everything simple, fast and accurate," he went on to say. And with tools such as this one that are integrated into the service system, when a customer calls in to make an appointment, they can easily be alerted to recalls associated with their VIN number, and could also help to make sure the service department is prepared to receive the vehicle. Recalls are increasingly becoming an issue for dealers and manufacturers, as the slew of issues that began in 2014 hasn’t slowed much this year. And the data coming out of some provinces illustrate this fact. For example, according to CarProof data, there are currently about 3 million vehicles being driven on Alberta roads, and close to a half-million of those have an open safety recall. And in Manitoba, more than one in 10 vehicles on the road in the province have been deemed “unsafe” due to open safety recalls. These concerns, especially open safety recalls, have been top-of-mind for regulators such as the Ontario Motor Vehicle Industry Council. 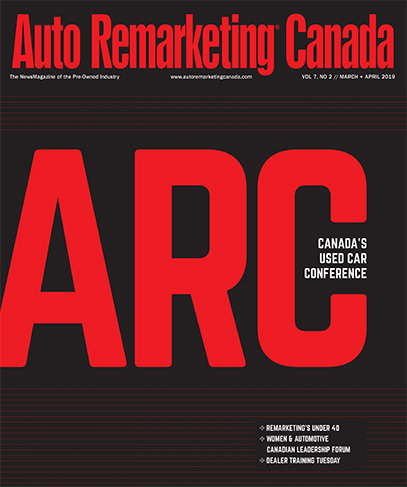 Michael Rothe, director of legal affairs at OMVIC, explained to Auto Remarketing Canada recalls that involve safety concerns are what falls under the legislation as a “material fact,” and these material facts must be disclosed to buyers. Of course, dealers have a certain due diligence to enact when taking a vehicle in on trade, or purchasing at auction, since they might not be given the same benefit consumers have in terms of disclosures. OMVIC interprets a material fact to be something that would impact the consumer’s decision to purchase a vehicle. “And if this is a vehicle on which there was an open safety recall, that’s obviously something that could make a difference. Maybe not every recall would qualify, but certainly a safety recall it is safe to say is certainly a material fact,” Rothe said.